Very often individuals often, ask this question, why study this subject, they are very difficult. Firstly we as individuals (if we think logically) are learning nothing new, except that we are re-enforcing our inborn skills, which we acquired naturally. We know that if we receive or inherent something, we must learn to use it and be accountable for it. For example your parent gave a monthly allowance of $300. You as a student must think, (plan) how you must spend each day, or how much you put aside, if you plan to buy your friend a birthday present. THIS IN SIMPLE TERMS IS KNOW AS BUDGETING (a term very commonly used in cost and management accounting). i.e. PLANNING FOR THE FUTURE. Secondly, assume that your monthly allowance of $300 was insufficient, your parent asked you to justify why they increase your allowance. 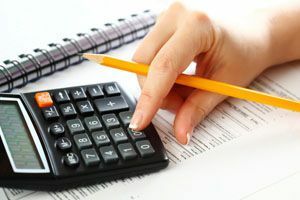 In order to do so, you to write up a little statement, which show how much you received (revenue) and how you spent (expenses) the net will be loss (deficit) that is that you incurred some expenses but you have not paid. This shows your parent that the allowance is not enough. What you have done is prepared a very common statement in accounting known as INCOME STATEMENT. Those of you who doubt the simplicity of this basic concept, please verify with your mother how much quantity of rice , sugar and other household items she has and when will she buy and in what quantity. This indicates that she is an accountant in her household items. The little problem of Debits and Credits can be easily solved by getting to know the concept of receiving and giving. What receive is debited and what you give is credited. Let us say that your mum bought bag very expansive rice for $25. What did she RECEIVE, rice, debit rice account, what did she GIVE cash of $25, credit cash. Finally, Accounting have very little to do Mathematics (which is very complex). All we need to know is, Add, Minus, Divide and Multiply. Such is a simple story of very difficult subjects such as cost and management and Accounting.